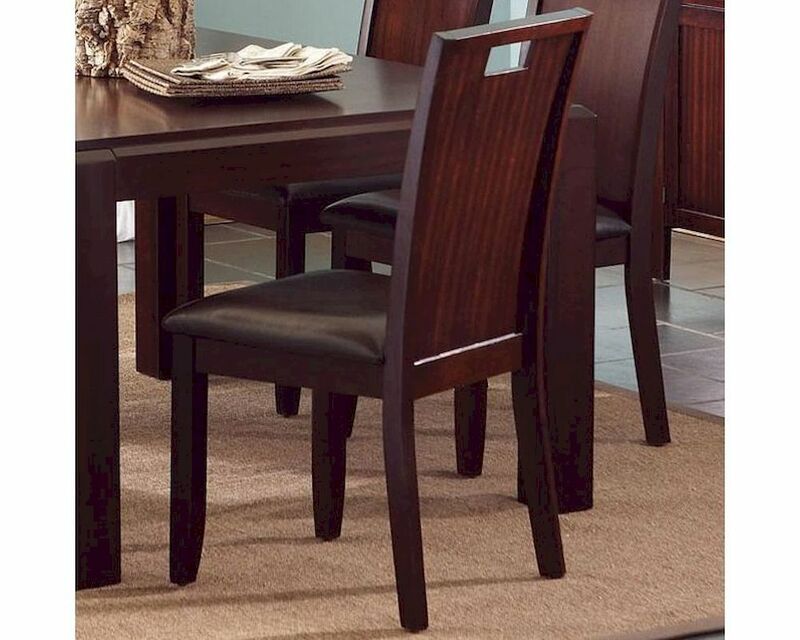 Bring bold contemporary style into your home with the Prewitt dining collection. 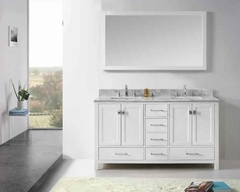 Ideal for any dining room from casual to formal, this collection offers mid-sized pieces that will fit beautifully into your home. A rich dark Espresso finish over radiant Sabiri wood veneers works nicely with the bold detailing that make these pieces unique. A beveled edge table top design, chunky block legs, and chair back cutouts offer subtle but stylish additions that make this group a winner. 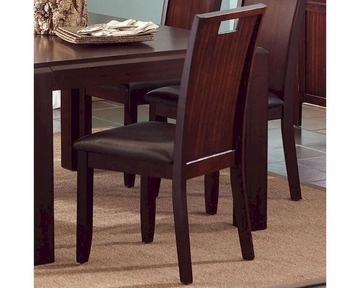 This contemporary dining side chair offers the perfect complement to your dining room. A unique wooden chair back with cutout adds a distinctive touch, while a dark brown vinyl upholstered seat adds comfort and durability.